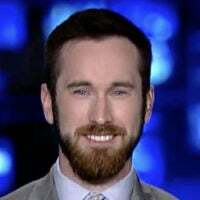 “While it is appalling that Twitter would ban a journalist for asking legitimate questions about an incoherent ideology, such as gender identity, and for challenging legislation I believe is a massive threat to women’s rights, this is about more than just gender identity,” Murphy wrote in an email to The Daily Caller News Foundation. “We cannot allow multibillion-dollar corporations to dictate speech. Twitter is quite literally enforcing a 1984-style version of newspeak, wherein we may not speak or name material reality. The fact that it is so-called progressives, by and large, is appalling,” she added. 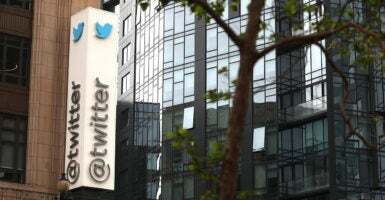 “Twitter believes Ms. Murphy’s claims are meritless and will vigorously defend itself against this suit,” a Twitter spokesman told The Daily Caller News Foundation in an email. Murphy’s lawsuit was first reported Monday night by The Wall Street Journal. “In the past year, Yaniv has filed 16 different human rights complaints against female estheticians from across Canada for refusing to perform Brazilian waxes on Yaniv due to Yaniv having male genitalia,” Murphy’s lawyers wrote in court documents reviewed by The Daily Caller News Foundation. “One of these complaints is actually due to refusal of a hair cut at a unisex hair salon, to give you a sense of the inaccuracies here. Also, the refusal of services actually occurred immediately after mentioning that I am transgender. These salons had no issue with me booking the services as a female (or male) but when I mentioned I am transgender, they immediately refused service and this is where the discrimination complaints begin. In fact, one of these complaints actually boldly states ‘I don’t do for men and transgender,’” Yaniv wrote in the email.